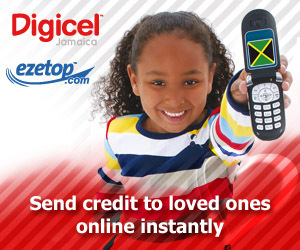 Commenting on the launch of this service, ezetop’s Head of Business Development, David Shackleton said: ‘the convenience of an instant and cost-effective top up of a loved ones’ phone means that immediate and direct support is now accessible by the online Jamaican community throughout the world. We are delighted to bring this service to the significant Jamaican Diaspora throughout the world." For further information, please contact ezetop at info@ezetop.com. ezetop Ltd. is an Irish based international mobile phone services company and is a subsidiary of Heytesbury Investments Ltd. ezetop’s management has extensive experience in both telecoms and financial services. Established in 2006, ezetop was founded to enable people to send mobile phone credit to family and friends back home instantly and to buy mobile credit for themselves instantly.